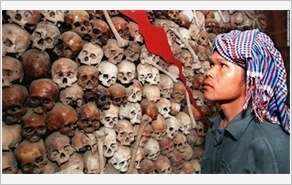 The “military semester” program (hereinafter the program) has been co-launched since 2012 by the VPA’s General Department of Politics and the Ho Chi Minh Communist Youth Union's Central Committee. The program aims to forge a spirit of patriotism, national pride and self-respect among the youth, to educate them on heroic traditions of the VPA, military fundamentals and life skills and to enable them to cultivate dignity, morality and healthy lifestyle. Fully aware of that, the Standing Committee of the Provincial Youth Union of Quang Ninh (hereinafter PYUQ) has closely cooperated with the provincial High Command and the provincial Department of Education and Training in organizing the program province-wide according to age groups, with emphasis on military fundamentals, life skills such as swimming, fire prevention, handling dangerous situations and field trips. For the sake of higher quality of the program, the PYUQ has invited professionals inside and outside the province to deliver lectures. This has enabled student participants in the program to be doubled or even tripled as evidenced by 1,300 student participants or so organized into 14 classes between 2012 and 2017. The program has effected profound transformations among student participants in their awareness, life skills and sense of responsibility. 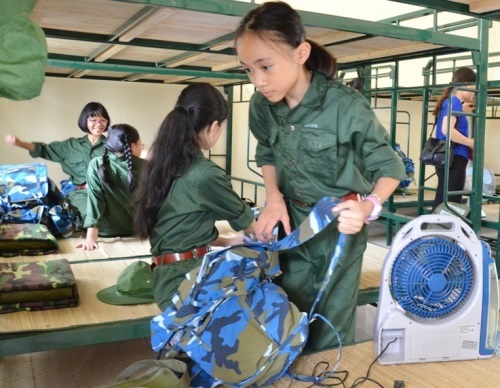 The program as a new model of defense and security education has garnered considerable attention from parents, enthusiastic response from juveniles and high praise from Military Region 3’s Bureau of Politics and the Secretariat of the Ho Chi Minh Communist Youth Union's Central Committee. Those achievements result from multiple factors with synergy between the Standing Committee of the PYUQ and relevant agencies coming first. The PYUQ has firmly grasped Directive No.42-CT/TW dated March 24th, 2015 by the 11th Party Central Committee on “Enhancing the Party’s leadership over the education of revolutionary ideals, morality and cultural lifestyle for the youth in the 2015-2030 period” and Joint Instruction No.723 HDLT/TCCT-TWĐTN, dated May 25th, 2012 by the VPA’s General Department of Politics and the Ho Chi Minh Communist Youth Union's Central Committee on organizing the “military semester” program in the 2012-2015 period. Annually, the PYUQ cooperates with the provincial High Command and the provincial Department of Education and Training in developing a blueprint for the program before submitting it to the provincial Council for Defense and Security Education for approval. Additionally, the PYUQ makes elaborate preparations for the program. An organizing committee of the program is yearly established involving relevant agencies, headed by the Permanent Deputy Secretary of the PYUQ. The PYUQ cooperates with the provincial Department of Education and Training in popularizing the significance, aim and content of the program as well as the enrollment fee for students and their parents by the end of each academic year. It also directs its affiliates to enrol local candidates for the program. Regarding students who are underage or face health problems, the organizing committee encourages them and their parents to defer their participation for safety reasons. This helps to foster parents’ trust in the program, thereby enabling the number of participants to go up annually, irrespective of their geographical locations. The PYUQ also cooperates with relevant agencies in holding training workshops for cadres, coordinators, collaborators and soldiers, providing accommodation for student participants and partitioning them into clusters geographically close to military units. In 2016, students participants were partitioned into 3 clusters: the Central cluster in Regiment 213 (the Air Defense-Air Force Service), Brigade 147 and Brigade 170 (Naval Service), the Western cluster in Regiment 244 and the Eastern cluster in Regiment 43 (provincial High Command). In the process of implementing the program, the PYUQ focuses on equipping students with expertise associated with military discipline. According to age groups, gender and turnout, the organizing committee organizes student participants into companies, to which coordinators are assigned to manage, instruct and help them under the “3 togethers” motto (eating together, living together, working together). The instructors afford students detailed guidance so that the latter can fully absorb required expertise. In parallel with this, students stand a chance of familiarizing themselves with the military environment and participating in extra-curricular activities such as trips to historical relics, “repaying gratitude” activities. Despite aforementioned desired results, the province-wide program is confronted with shortcomings. Developing and submitting the blueprint for the program is time-consuming, which besets the implementation of the program. Meanwhile, military units are unable to cooperate in organizing the program at all times due to their multiple military tasks. Moreover, as the venue for the program is yet to be available, student participants have to share accommodation with cadres and soldiers of military units, which spells trouble for management. As there is only one program framework applied to various age groups, some of the program’s contents have yet to be appropriate. The enrollment fee remains high with VND 3.5 million per student for a 10-day program, which is beyond the means of multiple students, particularly underprivileged ones. In order to redress those shortcomings and to comply with the direction of the Standing Board of the provincial People’s Committee and the provincial People’s Council, the Standing Committee of the PYUQ has collaborated with the provincial High Command and the provincial Department of Education and Training in developing the project entitled “Organizing the “military semester” program for juveniles across Quang Ninh province in the 2017-2022 period”. According to the project, the “military semester” program is classified into 3 sub-programs for 3 respective age groups (the 5-day sub-program for students aged between 8 and 10, the 10-day sub-program for students aged between 11 and 15, the 15-day sub-program for students aged between 16 and 18). The program is scientifically and educationally designed, providing student participants with defense and security expertise, life skills and extra-curricular activities. Regarding the 3 respective sub-programs’ duration, defense and security expertise accounts for 20%, 30%, 40%, life skills make up 60%, 50% and 40% and extra-curricular activities represent 20% each. In the time to come, the PYUQ and relevant agencies will continue to counsel the provincial leaders to provide financial support for the program, which is intended for facilities, remuneration for instructors, collaborators and coordinators and enrollment fee deduction or exemption for underprivileged students. The PYUQ and relevant agencies will strive for the participation of 10,000 province-wide students in the program as the stated goal for the 2017-2022 period, thereby contributing to heightening their sense of responsibility towards Homeland construction and protection.